Choosing a car repair shop is a task most of us approach with fear and paranoia. However, it doesn’t always have to be that way. To help you deal with the stress of finding and choosing the best repair shop for you and your car, we’ve listed down some considerations worth looking into before coming up with a decision. In choosing an auto repair shop, reputation is one of the first things you should consider. The thing is, unless you have an idea as to what you should really look for in a repair shop, it may take you some time to realize that you need to change technicians in a hurry. Fortunately, it’s now easier to look for a reputable shop by asking around or browsing the web. The Internet allows you to connect with more people than before, so you don’t need to limit your recommendations to your relatives and friends. A good way of checking you prospective shop’s reputation is by contacting the Consumers Association of Singapore to check if your prospective car repair shop has an unusually large number of unresolved complaints. You surely wouldn’t want to find out that you’ve been ripped off after you’ve paid for all the necessary services. Quality workmanship is another important thing to consider when choosing a car repair shop. Are the mechanics working on your car well-trained and qualified, or did they perform their first oil change just this morning? Most car manufacturers in Singapore sponsor ongoing in-house training programs for their dealership technicians. These technicians are required to pass all the demanding hands-on and written tests. Other than that, certain organizations also certify mechanics through a series of general written tests. 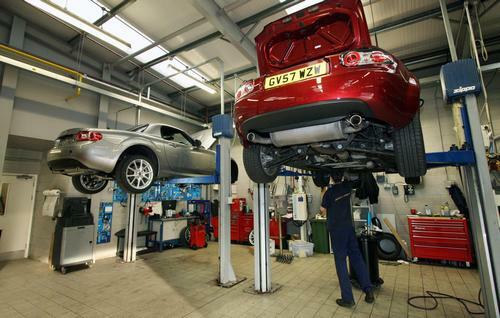 Technicians are also required to have a two-year hands-on work experience before working on certain auto repair shops. Although certifications play an important role in choosing an auto repair shop, it’s still doesn’t guarantee a person’s honesty or competence at work. But it’s still better than nothing. Obviously, price will always play a part in determining your regular car service centre in Singapore where you will have your auto repair done – but don’t let it cloud your judgment. If one shop is charging S$10 for an oil change service, and the one down the street is charging S$30, what’s the difference? Does the shop that charges cheaper use low-grade oil to do the work? Are their mechanics less trained? These are some of the things you should consider looking into before automatically deciding to go with the cheaper price. Apart from the warranty, another thing to consider is whether or not their work is guaranteed. A common practise among reputable car repair shops is to guarantee their work for 90 days. However, avoid getting a ‘property line guarantee’ from your repair shop. This guarantees after the repairs are done, you get to the end of their property line, and they guarantee that they never want to see you again. An authentic guarantee, on other hand, promises that if the job isn’t done right the first time, they will do their best to correct it as soon as you bring your car to their place. If you have an auto repair covered by a warranty, then you should take it straight to the dealership. If you’re going to have non-warranty car maintenance and work elsewhere, however, then you need to be careful about keeping your records. A warranty is often dependent on meeting certain requirements. If you don’t change your car’s oil for two years – or has no record of doing so – you may be surprise when your engine breaks down, and your warranty won’t cover it. So ensure that the repair shop you’ll choose provides you with detailed maintenance and repair records. Is the car servicing shop reasonably clean and organized? Or does it look like it was stirred up using a large spoon? Does the shop use computerized diagnostic tools, or is the mechanic equipped with a rusty screwdriver and a large wrench? Although a shop doesn’t have to look like hangar out of Star Wars, it should still have a modern engine analysing equipment and an up-to-date manual necessary to work on your computerized car. A good repair shop is more than willing to discuss the equipment it uses, as well as show how the equipment works. An auto repair shop that’s worth its salt should be able to access Technical Service Bulletin, more commonly known as TSB. About 6,000 of these latest fixes for difficult to diagnose problems are issues by the car manufacturers each year. Without gaining access to these insider remedies, mechanics might be forced to ‘throw parts’ into your car. Not knowing what the real problem of your car is, they might keep replacing certain parts until they finally (or possibly) get the correct one. 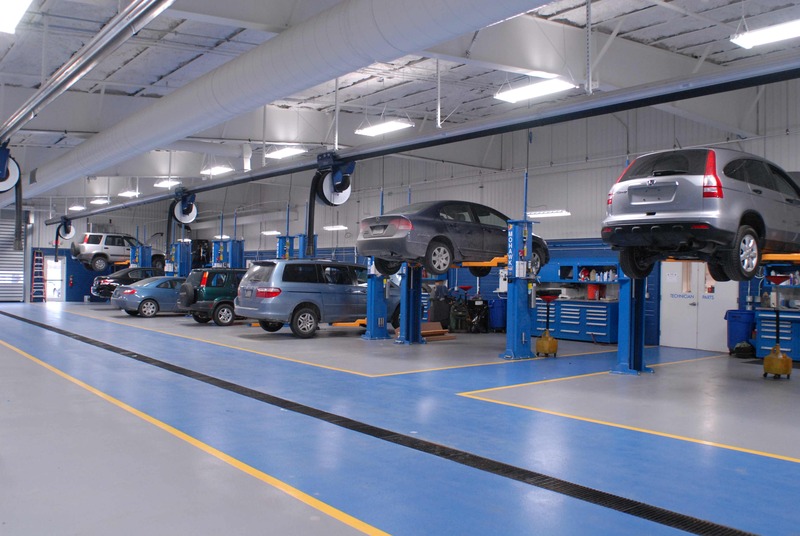 Equipment is not the most important consideration in choosing a car servicing shop. It’s the attitude of the mechanics who will be working on your car. Your visit to your prospective repair shop should leave you feeling listened to, understood, and comfortable with the way you were treated. If you and your mechanic cannot establish a good rapport on repairs, chances are your relationship with their shop won’t last long. Looking for a reputable auto repair shop isn’t really that difficult. By keeping these considerations into mind, you’ll surely be able to find a car repair shop that can provide both your and your car’s needs.